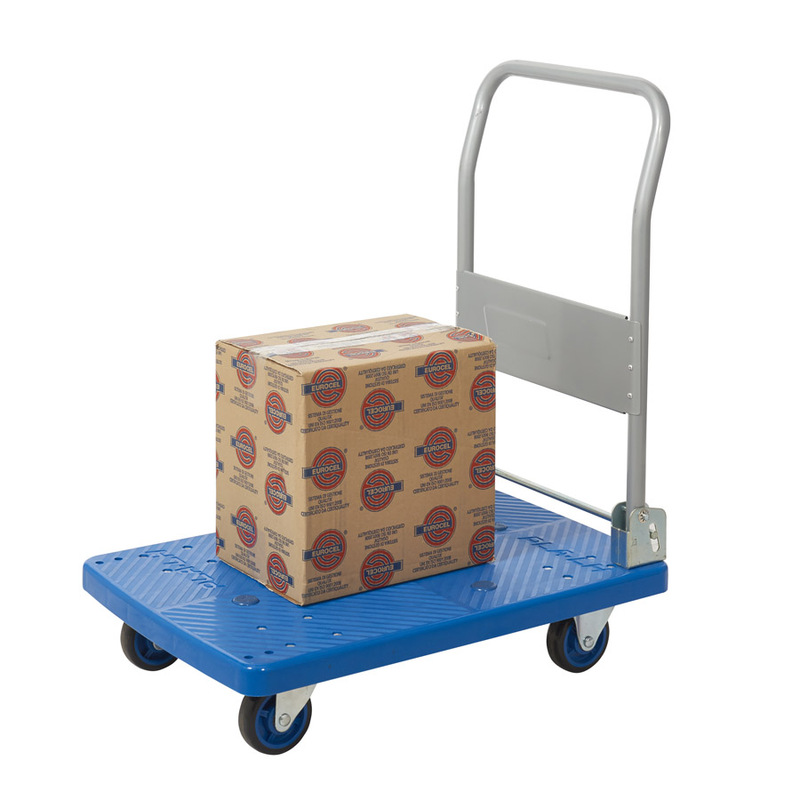 Folding platform truck with durable injection moulded plastic base and steel handle. This type of trolley is most suited to workplace environments where hygiene and aesthetic appearance are important. A good sized platform with an easy wipe clean finish, fold-down handle and 150kg capacity make this a practical choice for many businesses.